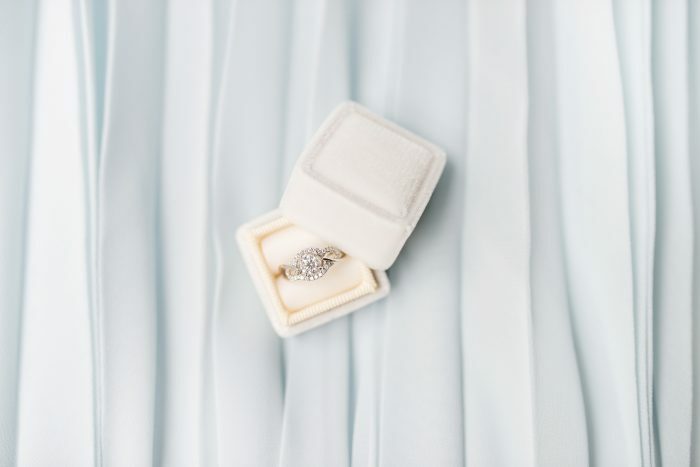 It’s no secret that online shopping is surpassing in-store shopping across industries—and this is especially true when it comes to engagement ring shopping. Whether you’re seeking a solitaire or have your eyes peeled for the perfect pear cut, there are a number of reasons to do your shopping in the digital world—and, today, we’re breaking down our top five. Read on for some major reasons to take your hunt for your partner’s dream ring to the world wide web. Sometimes, you just want to window-shop and gather some intel before you commit to a purchase—especially one as significant as an engagement ring. But collecting research and “just browsing” in stores can often feel awkward. You don’t want to waste a salesperson’s time—just as much as you want to avoid the pressure of a salesperson in the first place. 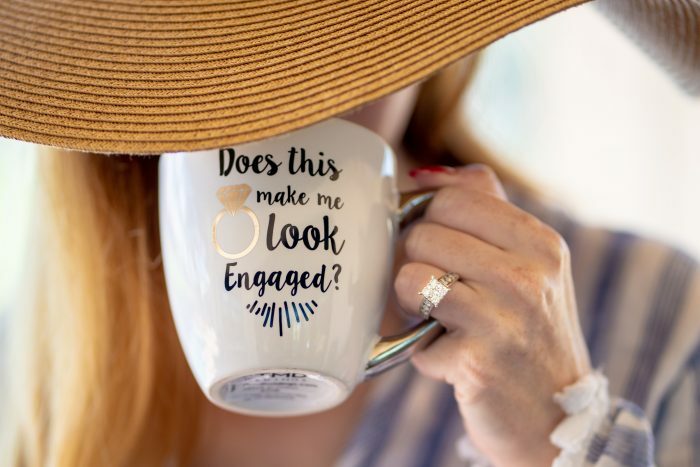 Online engagement ring shopping, then, is a great way to browse different cuts and styles without all of the pressure and expectations that come along with in-store shopping. Before you land on “the one” (we’re talking about rings here), you want to be confident that you are purchasing your diamond from the best source. And, with so many options out there, finding a reputable one for your engagement ring is stress-free when you do it online. 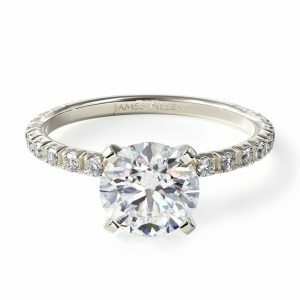 From reviews to information about certifications to endless photos, online ring shopping on sites like Blue Nile and James Allen offer up tons of resources for gathering intel and finding the right jeweler or source for your stone. There’s really no better way to compare rings than online (ah, the beauty of multiple browser tabs!). Instead of having to go from jeweler to jeweler to take photos and notes—all while reminding the salespeople at each location that you’re “just looking—thanks!”—you can do all of your comparison shopping from the comfort of your home in a fraction of the time. Plus, the ability to filter your search results by price, metal, stone cut, and more make it so much easier to only compare rings that fall within your budget and desired style. While it’s not always about finding the least expensive ring, it is always about finding the best quality. If you’re trying to purchase an engagement ring without your partner knowing what you’re up to, online shopping is the way to go. While you’ll have to be super careful about when you browse and, yes, maybe even clear your browser history regularly, online shopping is endlessly more flexible than in-person shopping. Whether it’s busting out your laptop while your partner is at the gym and you have an hour to yourself, or browsing from your phone on your lunch break, the flexibility online shopping offers allows you to shop and compare in increments, without having to squeeze in physical trips to the store without your partner knowing—even if do you have to be more careful about covering your digital tracks. The beauty of online ring shopping is that it allows you to create—and view—rings that don’t exist. Oftentimes, sites like Blue Nile and James Allen will allow you to choose the cut of a diamond, the setting, the band metal, and other details in an online ring builder—and view a real-time digital mockup of your creation. This is such a great way to compare different styles and see how the tiniest tweak can make for an entirely different ring. 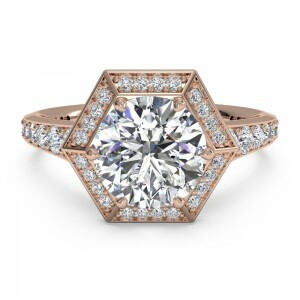 If you’re going for customization, online engagement ring shopping is your best friend. Ready to start shopping? 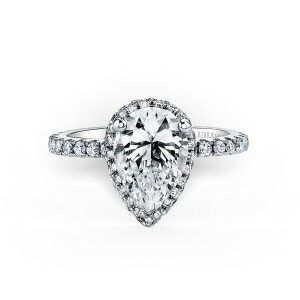 Check out Blue Nile’s collection of engagement rings—you can easily filter your search by stone shape, ring style, metal, designer, and more.